It’s been a good run for Premium Boxing Tips since our last update a month ago, with another 42 points profit added in that time. That means they are now 57 points up for our trial overall. As mentioned previously, most of the selections are accumulators (normally doubles or trebles), also referred to as parlays and are odds-on. Very nice smooth progress here and living up to the pre-trial results which is a rarity. Long may that continue. It’s been a positive start to our trial of Premium Boxing Tips, with a profit of 15 points made so far after one month. Quite a lot of the tips are accumulators (or “parlays” as they refer to them) on selections with low odds that combined are still often odds-on. That approach is working well so far so let’s hope for more of the same going forward. So far here at Honest Betting Reviews we have only reviewed one boxing tipster in the four years we have run the site. So it’s nice today to have another tipster to review and that is the aptly-named Premium Boxing Tips. This is a service that’s been going for over three years and the results published on their website for that time look very good. In that time they’ve made over 440 points profit at a return on investment of over 15%. If they could repeat that over the course of our trial (and beyond) they would certainly be a tipster worth adding to the portfolio. Well that dedication seems to be working well based on the results published on their website but let’s see how they perform under a live trial. So we will run our normal three month trial of this service and will report back here regularly on how things are going. In the meantime you can check out Premium Boxing Tips for yourself here. It’s been a very good start to our trial of Big Hands Racing, with 37 points profit made so far to advised prices. It has also been a good start at Betfair SP, with a profit of 28 points made for our trial to date. The majority of bets are each-way, which is good for keeping the bank ticking over and some place returns coming in whilst you wait for the big winners. A nice start then for Big Hands, let’s see if they can keep it up. 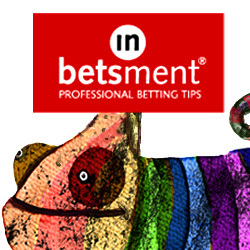 Today we are starting a new review of an interestingly-named tipster from the Sports Betting Stars stable. This one is called “Big Hands Racing” and to be honest we are not quite sure what is behind the name. Perhaps it is some reference to Donald Trump and his small hands, or winning big hands-full of cash. Either way, the service looks very promising, with 189 points profit apparently made since starting tipping back in September 2018. That has been achieved with a whopping return on investment of over 40% and a strike rate of just under 30%. The service is run by a guy called Dean and he describes himself as a method tipster. He says he uses a process of elimination to get his results i.e, draw and pace analysis before he even looks at the form. Dean has been gambling on horses using tipsters for 20 years with some success but given his skills he recently decided to start his own tipping service. So far five out of six months have been profitable which is obviously a very good ratio and if replicated over the long term would be extremely welcome. Although this tipster is relatively new the results do look promising so we’ll be interested to see how it gets on during our trial. We started receiving tips on 1st March so will record results from then and results will be updated on this page at regular intervals during the trial. In the meantime you can check out Big Hands Racing for yourself here. Unfortunately Elite Rugby Tipping has gone backwards since our last update, with 15 points lost over the last month. The recent run is a shame as they had nearly got back to level for the trial, but that is the way things go sometimes in betting sadly. Let’s see if they can turn things back around and get back towards profit between now and our next update. It’s been a good comeback recently for Elite Rugby Tipping from Love Winners, with a nice profit of 21 points since our last update. That means they are almost back at even for our trial, just 2 points down now overall. There have been more bets from rugby league recently which have done very well and helped the recent good run. Hopefully it will continue and they will be in profit overall by the time of our next update. The steady losses continue unfortunately for Elite Rugby Tipping from Love Winners, with another 9 points lost since our last update a month ago. That means they are now 23 points down for our trial overall. Although we have been following the service for three months now, there have only been 61 tips in that time and we normally look for at least 100 tips before finalising a review. So we will continue the trial and hopefully have better news to report by the time of our next update. More losses unfortunately for Elite Rugby Tipping from Love Winners since our last update, with a further 6 points lost. That means they are now 14 points down for our trial overall. This is quite a low volume service with just a few bets per week, meaning it is easy to follow and the prices seem readily obtainable. All we need now is the results to pick up and for them get back into the black. It’s been a bit of a tough start to our trial of Elite Rugby Tipping, with a loss of 8 points so far after just under a month. Most of the bets during November were on the Autumn International matches which can be a little unpredictable, so with the return of the domestic action hopefully we will see an improvement in form for the service. Just a note that they are moving the service over to the Love Winners website going forward. This is a first for us here at Honest Betting Reviews as we launch our first ever review of a rugby betting service. It’s strange in a way that there aren’t many rugby tipsters out there when you consider it’s a popular sport played in a number of countries around the world. Even comparable sports in terms of popularity like golf and cricket attract a lot more betting attention and have quite a lot of people tipping on them. For some reason though rugby has been rather neglected as a betting medium over the years. That’s no problem for us though as it means there is the potential for lots of value to be found if others aren’t devoting much time to it. And that certainly seems to be the case with the service we’re looking at today – Makfi Elite Rugby Tipping. It is run by a guy called George Makfi – hence the name. This is actually a service that’s been around for a number of years – firstly at gttips.co.uk, then at LoveWinners.co.uk before moving to Makfi Elite. It had been part of a broader portfolio of sports tips when on those websites, but this new service is rugby-only. The long-term record of the rugby tips over the last eight years has been very good, with a profit of £24,892 made to £50 stakes, which is the equivalent of 498 points profit to 1 point stakes. That has been achieved with a return on investment of just under 10%, which is very good for a sports service where you are betting at relatively short odds generally. Bets come in both rugby league and rugby union and across a variety of leagues as well as internationals. There are also a variety of bet types used such as handicaps, total points, winning margins and more. We are looking forward to testing this one out because as we say, it is the first rugby service we have trialled – and it also looks very good! So we will aim to run a standard three month trial and see how this one gets on. You can check back here for regular updates. In the meantime you can check out Makfi Elite Rugby Tipping here.